We can all agree that bigger isn’t always better, but the many practical layouts of the Swift Kon-tiki combine style and space with functionality and grace. When it comes to first impressions, the stunning black and white exterior of Swift’s Black Edition range has immediate curb appeal. 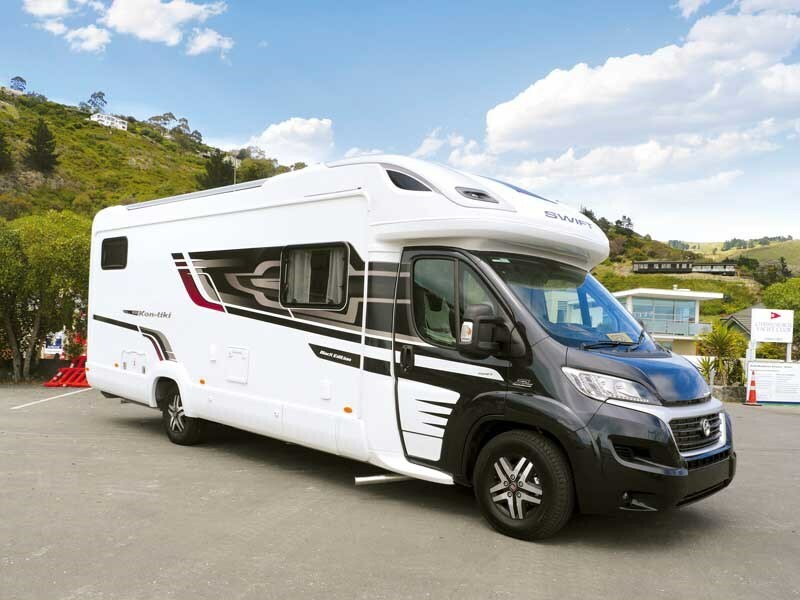 What’s not to like about the milestone graphic package which includes a black metallic cab with sleek black and white detailing which enhances the elegant, aerodynamic profile of Swift motorhomes? I have been lucky enough to drive a few of them, so I am familiar with Swift motorhomes and knew enough before my visit to Iconic Motorhome’s Ferry Road premises to understand I was in for a treat. 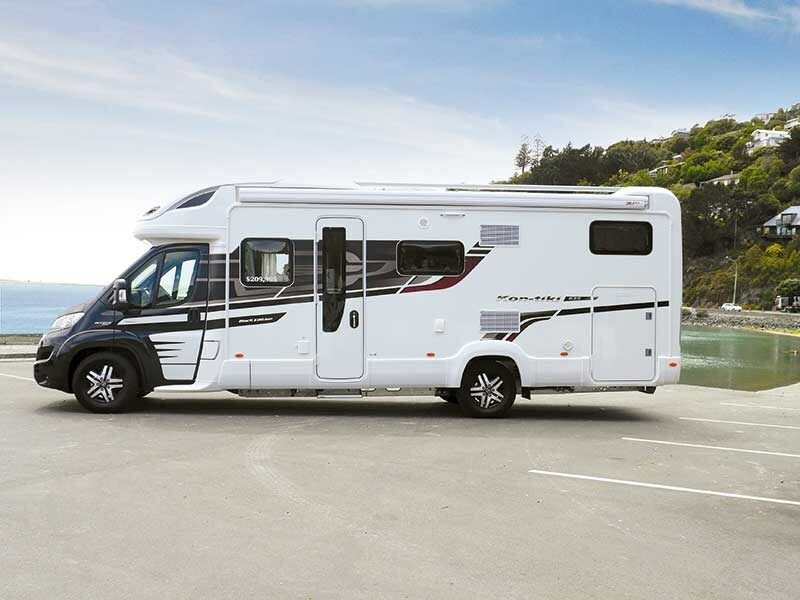 This four-berth model has twin beds in a rear bedroom, elevated to create a very generous garage underneath. Those wanting a larger garage might opt for one of the island bed models, but nor should they feel compromised if they want twin singles with the option of double, as these beds quickly convert to an east/west double. 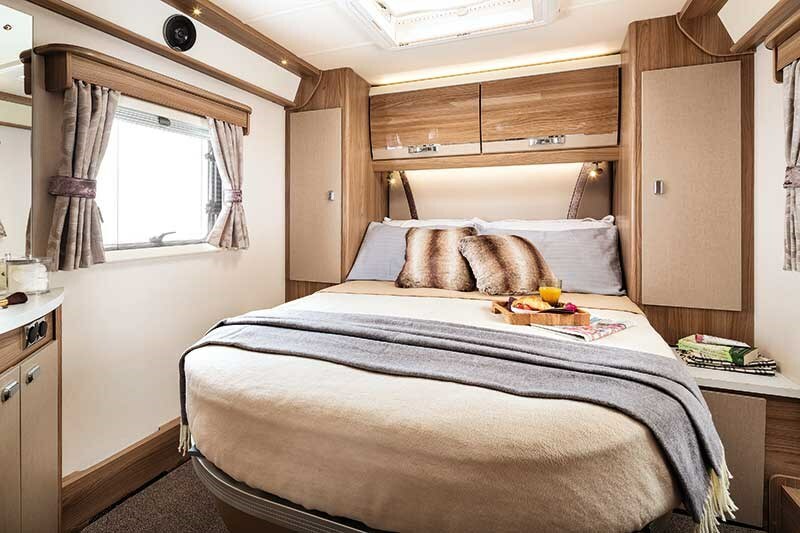 The numerous layouts of the Kon-tiki range can comfortably sleep between four and six people, while offering a modicum of privacy and generous living spaces. Want an overhead bed? Done! 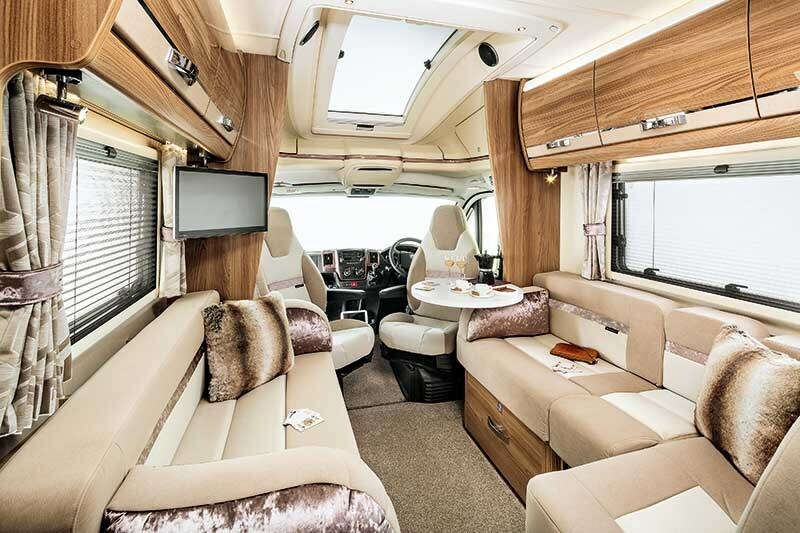 Prefer over-cab storage and banquette seating? Done! Want leather upholstery? Or would you prefer a hessian infill? Done! 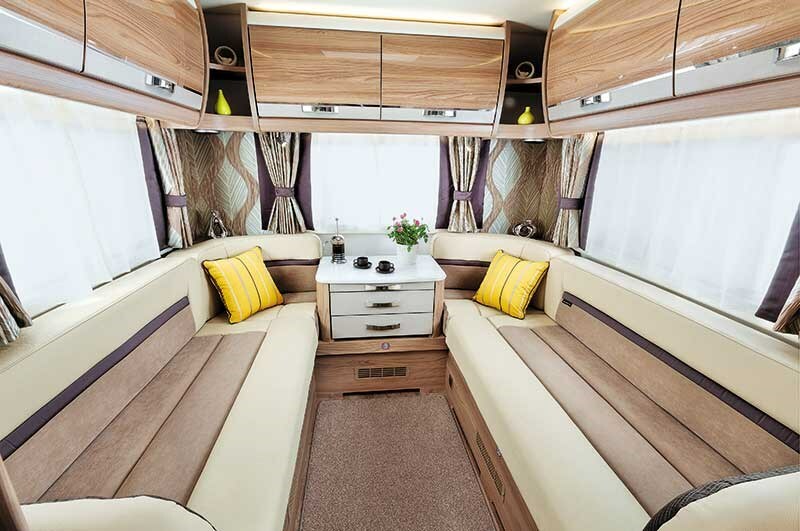 I was hugely taken with the family-friendly 649 which sleeps six. But nor was I surprised to later learn that the four-berth 669 was the most popular because – fickle creature that I am – I was immediately converted by the enormous amount of bench space in that model. And if money was no object, I would happily pay $20,000 more to secure it. So what else does the Kon-tiki offer that sets it apart? Storage, for one. Take all your toys, if you care to. Depending on your choice of vehicle, the rear garage will generally accommodate them. Inside, storage options also abound. I was impressed with the numerous cupboard and locker options and loved the new gloss look which adds to the overall look of luxury. The lighting throughout is excellent. And the new range of vehicles boasts an improved electric panel. The Fiat cab also offers a high level of comfort with improved design features including a state of the art instrument cluster which shows when to change gears to improve fuel economy. Kon-tiki models are available in TAG axles or single axles. All have double floors to discreetly house all the services. I did not drive this model but having driven many Swift vehicles before, I can attest to the smooth performance of the powerful engine with an automatic option. 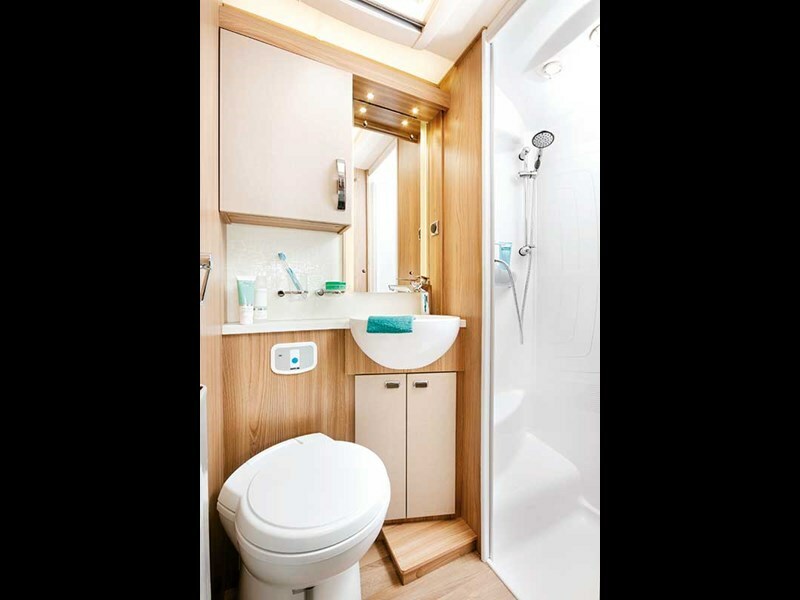 Meanwhile, I want to make special mention of the bathrooms in Swift motorhomes, which all have high-end specifications you would expect above on a luxury launch. So, am I in love with this high spec vehicle? You bet. I hadn’t expected to be seduced but I’ll admit that I have happily succumbed to luxury, Swift Kon-tiki style. Read the full article in issue #137 of Motorhomes Caravans & Destinations magazine (on sale now!). Subscribe here.